The district’s Food and Nutrition Department takes seriously its obligation to fortify children with nutritious foods as well as to teach nutrition literacy. As educators, we know it is our responsibility to ensure that children develop academically to the fullest extent of their capabilities and that development begins with healthy, delicious meals. We are proud to serve as an important resource for the students, staff, and community. 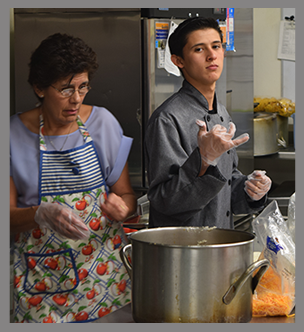 Our mission is to provide nutritious meals at a minimal cost to our families. To help us do this, we are proud to participate in the National School Lunch and School Breakfast programs and Provision 2. All our students receive free breakfast and lunch each day, so parents don't have to worry about the expense. And we plan meals to be nutritious and kid-friendly, with fruits and vegetables as part of the daily menu along with low-fat milk and dairy products. You can view and download our current menus here. We are excited to be able to offer all of our students free breakfast and lunch. Please feel free to contact us if you have any questions!